To update work logs with field data, select the job in either List view or Map view. 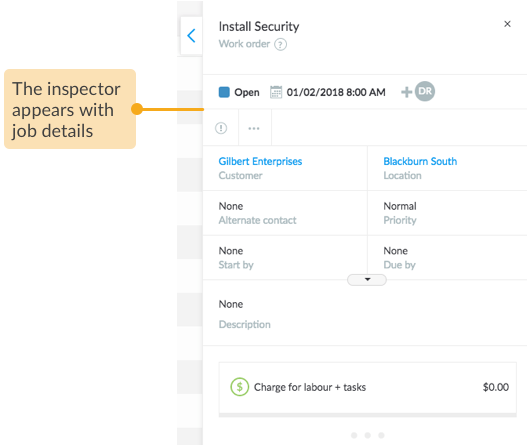 Expand the inspector to view the job in full screen. 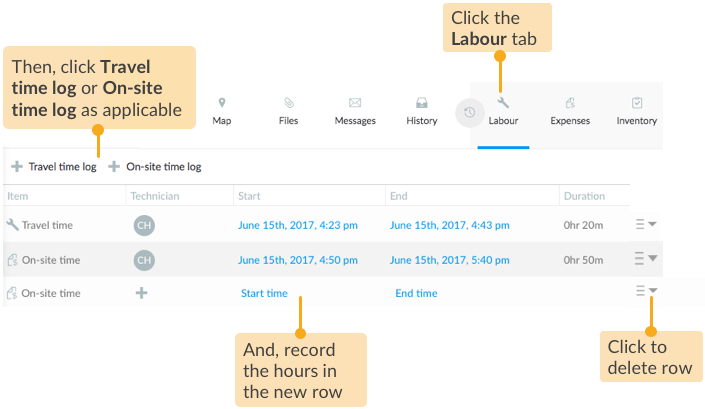 Expand Work logs to review or update details about an In Progress or Completed job. 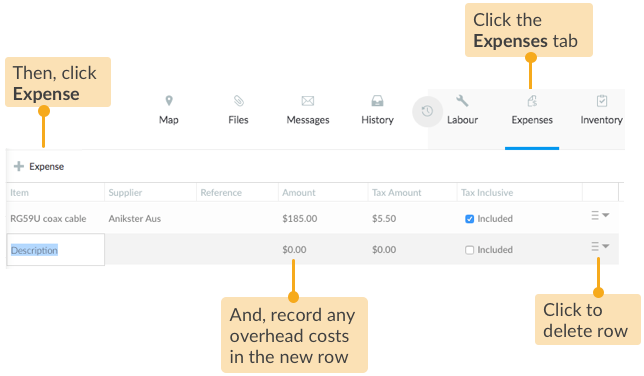 If there are any expenses associated with a job, they should be recorded against it. This can be done by the technicians in field through Loc8 Mobile, or directly from the Expenses tab under Work Logs in full inspector. If any parts and materials have been used while completing the job, they should be recorded against the job. 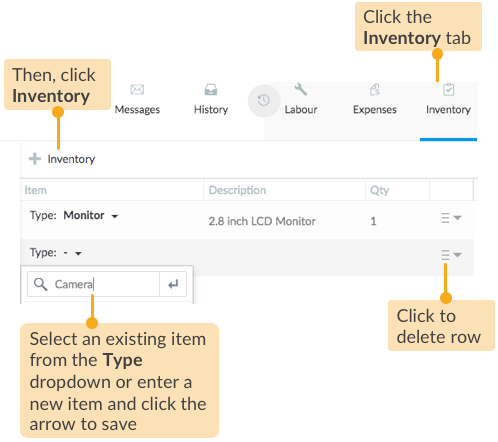 This can be done in field via Loc8 Mobile, or directly from the Inventory tab under Work logs on the job inspector.